﻿Will you deliver a Portajohn to my home? 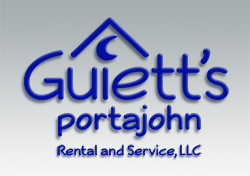 ﻿Yes, we provide Portajohn rentals for all sorts of recreational needs. Whether you have an event, or construction project, we will gladly provide one to you. If you﻿r location isn't within our reach then we'll recommend someone in your area. Do﻿ you ﻿provide Portajohns to commercial job sites? Yes, we provide many commercial businesses with Portajohns. Please call us to determine what will best fit your business needs! How often will my Portajohn be cleaned? For monthly rentals, Portajohns are cleaned once during the week. If an additional cleaning is requested then there is a charge for the additional cleaning. For a weekend rental, cleaning is not scheduled unless requested. If a weekend rental cleaning is requested then there is an additional charge.